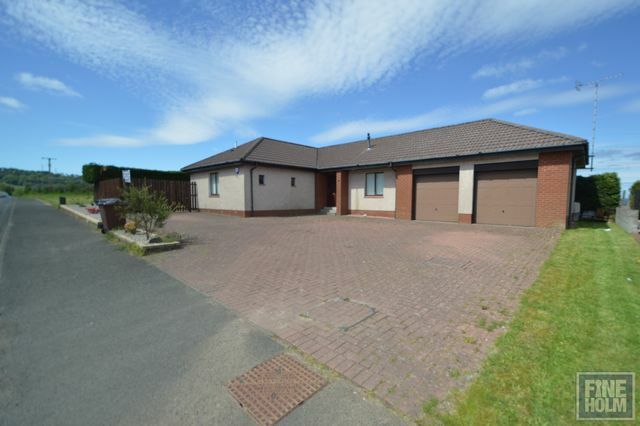 Fineholm are delighted to bring to the market this spacious 2 bed bungalow house located in Paisley. Renfrewshire. Property consists of 2 double bedrooms, spacious lounge, large kitchen and family bathroom and Ensuite. Further benefits are gas central heating, double glazing, garage and driveway. Property is situated within a quiet residential area with local amenities close by, close to Glennifer Braes Country park and public transport and motorway links a short distance away.